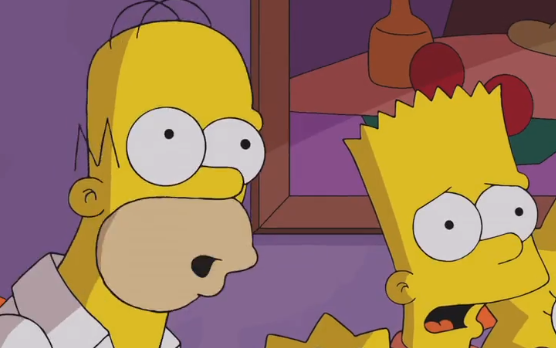 Miss last night's Treehouse of Horror XXIV? No problem. Yesterday, The Simpsons aired Treehouse of Horror XXIV, and viewers had the opportunity to unlock a new costume for The Simpsons: Tapped Out's Halloween update, a Strongman outfit for Homer that also comes with a new quest. In case you missed the show, here's how to unlock Strongman Homer. First, you'll need to collect four Frightems and correctly answer a trivia question from the show. The four Frightems you need are the Flaming Hoop, the Barbell, the Leotard and the Ring Master Top Hat. Once you have these items, you'll be asked, "What item of Moe's does Homer covet in this year's Treehouse of Horror episode?" In case you missed it, the answer is B.) An Emerald Ring. Once all this is done, Homer Strongman will be yours, and you can unlock the new Lard of the Rings quest. Have fun!